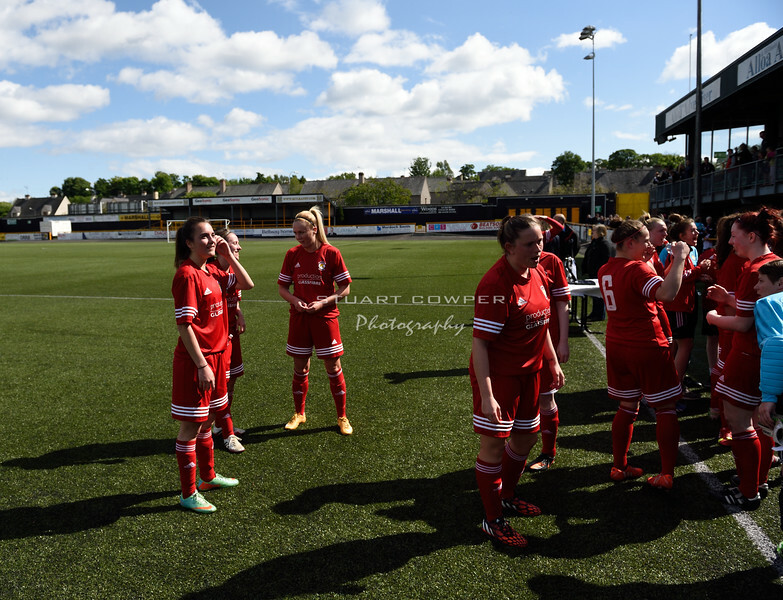 Pictures here of the celebrations following Jeanfield Ladides SWFL 1st Division League Cup win against Hibernian Ladies Development at the Indodrill Stadium in Alloa. Facebook & Twitter Sharing: Please click on the link under the photo to share with your friends and followers. Buying Prints Click the small shopping basket on thumbnail, or buy on bottom right of picture. Pictures are printed by a lab in Glasgow and sent straight to you. There is a tool to crop the photos to common frame sizes and rotate them. Choose standard sizes and then the best finish is lustre.